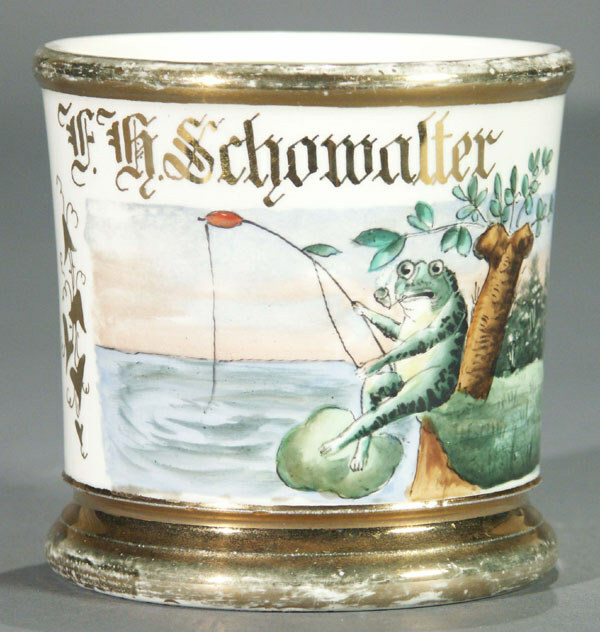 Shaving mug with a cartoon frog fishing and smoking a pipe, gilt name “F.H. Schowalter”. Size: 3-3/4″ T.